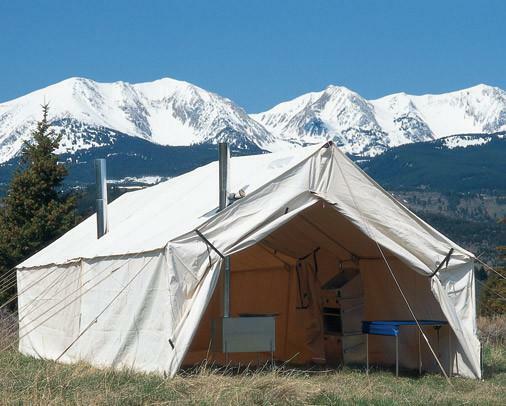 Cook Shacks are a great addition to our Montana Canvas wall tents. With the extra 12′ you will have plenty of storage space while keeping the sleeping quarters uncluttered. 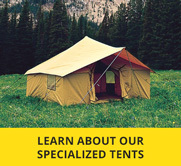 The cook shack overlaps your wall tent and instantly adds a full 12 feet in length. 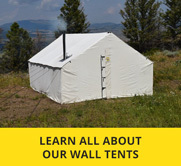 Make sure to select the right size cook shack that matches the width of your existing Wall Tent. Comes standard with stove jack with flap. Only available in natural canvas color. Manufacturer will use standard placement for the number of windows selected. Please call if you would like a specific arrangement.